A renowned heart specialist who raised the alarm over a hospital’s failings was unfairly dismissed in a calculated attempt to damage his reputation, a tribunal has ruled. Consultant cardiologist Dr Kevin Beatt has won a two-year legal battle with Croydon Health Services NHS Trust, which sacked him in September 2012 after he raised the alarm about staffing shortages, ‘appalling’ equipment and workplace bullying. He voiced his concerns following the death of heart patient Gerald Storey, 63, at Croydon University Hospital in June 2011. It was a routine angioplasty, an inquest heard in 2013, but a senior nurse had been suspended hours earlier – without Dr Beatt’s knowledge – and her absence contributed to the patient’s death. 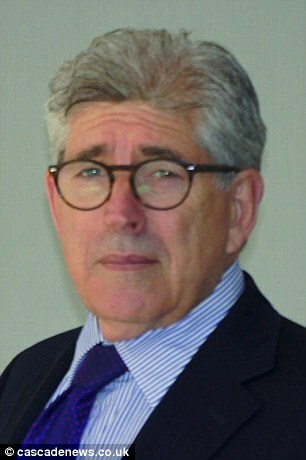 Dr Beatt, a renowned specialist who led the hospital’s well-regarded department for interventional heart procedures from 2007, should have been afforded protected whistleblower status but instead lost his job in a case he claimed provided a damning demonstration of the trust’s attempts to cover up failings. The trust argued it dismissed him ‘for making unsubstantiated and unproven allegations of an unsafe service’, but the employment tribunal ruled there was ‘no consistent evidence’ of gross misconduct and chief executive John Goulston, whose evidence it criticised as inconsistent, had ‘failed to carry out a fair process’. Between 2008 and his dismissal, Dr Beatt raised a catalogue of concerns about inadequate equipment, bullying and harassment of junior employees, removal of key staff, a lack of competent nurses and the failure to properly investigate serious incidents. So as this case was heard before the duty of candour law was introduced does that mean that the executive will not be investigated for being unfit to hold the post? Then there’s the appeal, how many service cuts will it take to fund it? Are the executives and managers going to perform operations? Because soon the only staff will be executives and managers arguing about the lighting in their offices. I agree with your comments. Further tax payers money will be wasted on appeal. The theme of whistleblowers’ treatment by Management is the same within our NHS. The PIDA is not fit for the purpose, but I am pleased to see that for once, at least, it has been used by the Tribunal to protect a whistleblower. This victory hopefully will send a clear message to the Management throughout our NHS that enough is enough when patient safety is at stake and no matter how powerful they think they are to cover up our concerns by victimising us, we will blow the whistle even louder through the Tribunal, as I did. Would like to see where the GMC fits into all of these. Are those who victimised him going to be made accountable and the cost to the NHS recovered? Unfortunately until managements within trusts are held publicly to account, nothing will change. Would like to see what BMA did to support? I had left BMA long time ago, although once I was a LNC member. When I whistleblew about the specialised service run by agency locum, who did not have the requisite experience or skills, I was essentially whistleblowing against my own Director. Who would the BMA choose to support, my Director or me? Who would GMC support, my appraiser or me? I knew the dangers in the midst of bullying, harassment, intimidation that followed and decided to avoid engaging with either. I’m really conflicted on this one. Whilst the facts of this make poor reading, Kevin Beatt was previously dismissed by the Hammersmith for alleged fraud. It was reported by the BBC that been selling trial stents to private patients and keeping the money himself – the GMC found in his favour, stating that ‘whilst it was worrying that he kept the money, they believed that he intended to give it back’. There’s perhaps an alternative future, with a better professional regulator, that would also have avoided the death of this poor patient? You similarly have to wonder at the competence or due diligence of a Trust that is prepared to employ someone with that sort of track record, but I guess their competence is exposed in this case anyway.